This modpack is installed with the Twitch application. Manual installs will not work. Optifine is highly recommended, but not required. 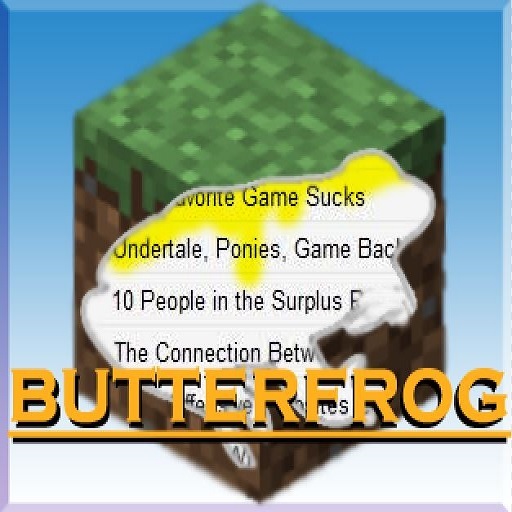 The Butterfrog modpack has every player in mind - from the hardy adventurer to the peaceful builder. The idea is to provide endless exploration options while still having a home to return to at the end of the day. You can choose to have that home in a dangerous spot in the wilderness, or some place more fortified (like a colony with NPCs). Exploration is incentivized with balanced rewards. Not overpowered ones. Players need to work to get treasures, and upgrades. There is a sense of moderate progression as players gain new magical skills, move to new planets, or tame wild creatures for their benefit. Mods were selected that don't have overly complicated methods of using those skills. No need to spend hours reading wiki guides. At the same time, the world can feel empty at times if you don't have people to play with, so NPCs and questing are added. Some side-dimensions with rich story content are also included, if a player feels like doing something different.